Innovation and determination remain a key factor in our success, along with the unparalleled relationships we build with each of our partners and clients throughout the defense, healthcare and business communities. 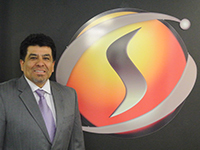 Dr. Johnny Garcia is the Founder and CEO of SimIS, Inc. He has over 25 years of engineering experience that includes systems architecture design, software development, database development, C4I systems development, logistics systems development, and new technology insertion for the Department of Defense, Department of Energy, NASA, Department of Commerce and Department of Homeland Security. Dr. Garcia has received a Bachelor of Arts Degree and a Bachelor of Science Degree from St Leo College, Master of Business Administration and Masters of Science from Florida Institute of Technology and completed his PhD in Modeling and Simulation from Old Dominion University. Dr. Garcia is a result-oriented professional with experience, and comprehensive expertise in development of Models and Simulations, Command and Control, Targeting and Service Oriented Architecture applications. He has sixteen years of experience and training in combat, aerospace, and related systems. Dr. Garcia served in the US Navy for six years as an Operations Specialist and received numerous awards and commendations. Dr. Garcia used this experience and simple core values of integrity, quality and honesty to build SimIS. 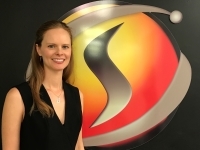 Amber Horton is VP/CFO of SimIS Inc. She has more than 12 years’ experience in accounting and small business supporting the Department of Defense. Amber has grown with SimIS since its inception in 2007. Amber has earned a Bachelor of Science in Accounting and Management from Old Dominion University, and received her MBA in Accounting and Finance from Florida Institute of Technology. 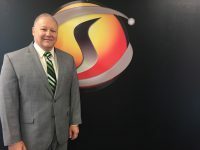 Mr. Warren Bizub is the Operations and Business Development Manager, Florida field office, for SimIS, Inc. Mr. Bizub served 35 years working for the Department of Defense. He served as Chief for Technical Solutions, Advanced Concepts Program Director and Joint Advanced Training Technologies Laboratory Director at US Joint Staff J7 and US Joint Forces Command responsible for development and delivery of military training and education with an emphasis on innovation and joint solutions from 2003–2014. Mr. Bizub began his career in 1976 when he joined the USAF. He served four (4) years as a technician and received an Honorable Discharge in 1980. He started his civil service career in 1983 and graduated from the Defense Logistics Agency Reliability/Maintainability & Quality Assurance Intern Program in September 1986. As an intern he served in rotational assignments at the Fleet Analysis Center in Corona, CA, at the Supervisor of Shipbuilding in Norfolk, VA, and David Taylor Naval Ship Research & Development Center, Annapolis, MD. Following his internship, Mr. Bizub held positions as a Quality/Reliability engineer, project engineer, Trainer Systems Support Activity Manager, Program Manager and In–Service Engineering Branch Head with the Naval Air Systems Command from 1986–1999. He was the Office of Navy Research Naval Research Science Advisor for the Commander, Naval Air Forces, US Atlantic Fleet from 1999–2003. Mr. Bizub received his B.S. degree in Ocean Engineering at Florida Institute of Technology (1982), M.S. degree in Engineering Management at University of Central Florida (1990), is a graduate of the Defense Systems Management College’s Advanced Program Manager Course (1997), graduate of the Navy’s Senior Executive Management Development Program (2001), and is certified as a Defense Acquisition Workforce Improvement Act (DAWIA) Level III Program Manager and Systems Engineer. He is a MIT fellow of Seminar XXI: Foreign Politics, International Affairs, and the National Interest (2003). Richard Tirrell is the Program Director for the Stafford field office, for SimIS, Inc. Rick is a career Marine, serving as both Enlisted and as an Officer, from Electronic Counter-measures Technician to Aviation Command and Control. His 23 year career in the Corps included tours in the four Marine Aircraft Wings, two MEU (SOC) deployments, a tour at MAWTS-1 and schools at Army Command & General Staff College. Though his tours of duty were predominantly operationally focused, participating in Volcano Relief in the Philippines, Humanitarian Relief and Evacuation in Somalia and Non-combatant Operations in Burundi, he also served as the USMC Test Director for the Advanced Tactical Air Command and Control Center (ATACC) and Theater Battle Management Core Systems (TBMCS). Since retirement in 2007, Rick has supported the Marine Corps Systems Command and Capabilities Development & Integration as an Enterprise Architect. Using his experiences from operations in the Marine Corps in addition to his formal and off-duty education, he has contributed to the advancement of architecture as support to Capability Development for the Marines. 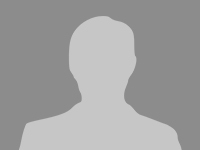 Mr. Tirrell is a Certified Enterprise Architect, ITIL Level 3 Credentialed and holds a B.S. Springfield College and his Masters in Computer Resources and Information Management from Webster University. His results oriented professionalism and team building skills have been successful in providing quality support to the Marine Corps architecture community while providing innovative and lasting contributions to the broader architecture domain within DoD. 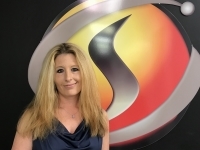 Phoebe Stelle is the Contracts Officer for SimIS, Inc. She has over 15 years of dedicated experience in contract administration with both large and small organizations. Phoebe has been negotiating contracts for SimIS since 2013. Detail oriented with a versatile skill set in the areas of DoD and Commercial contracts, accounts receivable and payable, procurement, business development and website design and implementation. Bill Campbell is the Sr. Program Director for SimIS’ Test and Evaluation efforts. Bill served in the US Navy for over 26 years, starting out as an Electronics Technician in the Naval Nuclear Power Program, then after commissioning, as a Naval Flight Officer (NFO) in the E-2C Hawkeye, a Tactical Action Officer, NFO Instructor, Operational Test Director, and NROTC Assistant Professor of Naval Science. Since his Navy retirement in 2002, Bill supported the Joint Test and Evaluation (JT&E) Program on the Engineering Services contract in various capacities including Lead Test Planner, Operations Research Systems Analyst, and Task Manager on a variety of programs including Joint Methodology to Assess C4ISR Architecture Joint Test (JT), Joint Shipboard Weapons and Ordnance Quick Reaction Test (QRT), Joint Shipboard Ammunition and Ammunition Board Reviews QRT, Joint Test and Evaluation Methodology JT, Joint Data Integration JT, and Four Pillars of Integrated Air and Missile Defense JT. Between JT&E projects, he also served as a Sr. Program Manager at the Office of Naval Intelligence supporting the Joint Deployable Intelligence Support Systems, Naval Information Technology Enterprise Services, and Intelligence Product and Analysis Support programs. Bill is now the Contract Program Manager and Lead Analyst for the JT&E Program Office (JPO) Support Contract. Mr. Campbell earned his Master’s in Engineering Management from Old Dominion University. Jasmine is the Marketing and Sales Director. She has over 10 years of experience working in multiple environments such as Telecommunications, Retail and Industrial Manufacturing, which includes work with a Fortune 500 company. Jasmine brings multiple skills such as Product Marketing, Business Development and Public Relations to SimIS. 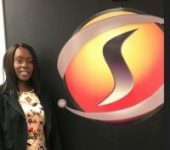 Jasmine earned her Bachelor’s Degree of Science in Sports Management from Old Dominion University and is currently pursuing an MBA in Marketing from Louisiana State University - Shreveport. She is an active member in the community serving as a Board member for the Portsmouth Police PAL program; as well as a committee member with STARBASE Victory, a children’s STEM program in Portsmouth, Virginia. Chess Harris serves as the Director for Business Development and manages the implementation of CMMI and ISO programs for SimIS’s advanced distance learning, test and evaluation, and autonomous vehicle programs. 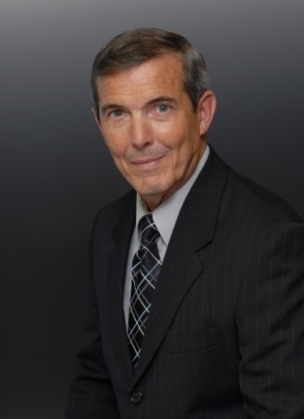 He joined SimIS in 2018 after serving with CGI as the Vice President for Army and Training Programs, providing international military education, training, intelligence services, IT services, test and evaluation, and exercise program support for DOD programs world-wide. He served as Assistant Vice President, Science Applications International Corporation (SAIC) developing and managing the SAIC’s corporate Training Services business campaign plan and contracts supporting US Forces Korea/CINC United Nations Command training and exercise programs, and IT/Simulation Engineering support for Combatant Command/Joint Task Force exercises at USJFCOM’s Joint Warfighting Center (JWFC). Mr. Harris served with Camber Corporation, where he developed and implemented the USAFRICOM Staff Training Program, the National Guard Joint Force Headquarters-State staff training program, the Saudi Arabia National Guard Staff Course, and provided the program support for the General Officer CAPSTONE program. Mr. Harris graduated from the United States Military Academy, West Point and served for twenty-six years as an Infantry officer in the United States Army in infantry/armor unit Command and staff positions in Europe, Southwest Asia, and continental United States. He led the integration of live-virtual-constructive exercise solutions for US and NATO partner units at the US Training Center in Europe; served as Director, International Peacekeeping Policies (Office, Secretary of Defense) where he led the development and integration of common collective training programs across 17 international training centers, and; Dean, Joint Forces Staff College where he taught Joint Professional Military Education-Phase II programs to mid/ senior US and international officers. He has a master’s degree in Information System Technologies from the Naval Postgraduate School and graduate of multiple National Defense University and corporate management programs. He resides in Suffolk, Virginia.